This is the second set in the series, after Read and Colour Freedom Stories. 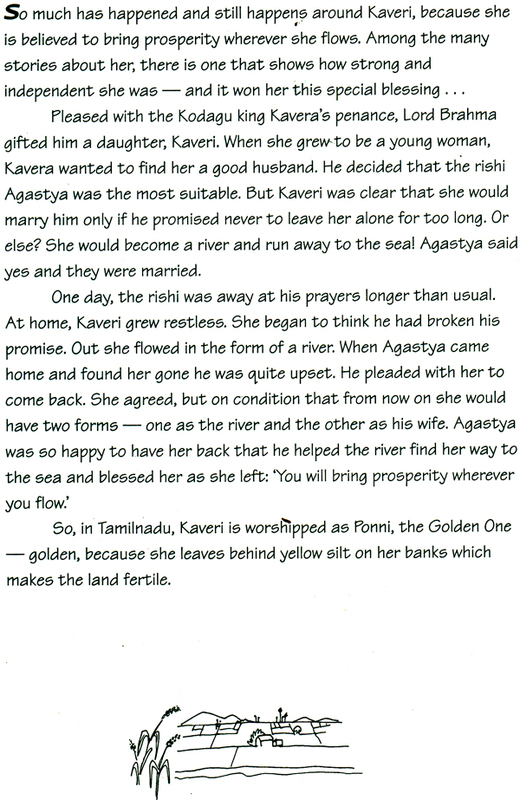 Balancing simple text with detailed line drawing that can be coloured in by the child, the books introduce 7 to 12 year olds to life in and around some of India’s important rivers. Older children will be able to read the text themselves. Younger ones may want the stories read aloud. All children, however, will ask questions. Take time to answer these questions and travel with your child on an interactive journey of learning. Penguin Books India Pvt. Ltd.